Hemophilia is a rare type of bleeding disorder. In this disorder, the blood does not clot as it does normally. Contrarily, this certainly does not mean that if you are suffering from this disorder and have a cut you will bleed to death. However, you do tend to bleed for longer time than others do. Moreover, there are chances that the injury may cause bleeding inside and you may continue to bleed internally such as in your elbows, ankles and knees. This internal bleeding is dangerous and life threatening as it damages the internal organs. The body of a normal person has a special protection mechanism to protect itself and stop the bleeding process. It does so by producing sticky cells of blood known as platelets. These are produced and developed in bone marrow and are small sized blood cell fragments. Platelets play a significant role in the blood coagulation process. The platelets work very quickly, plug any grazes or cuts, and instantly help the blood in the formation of clot by releasing biological molecules activating chemicals. These chemicals are the clotting proteins and are medically termed as factors. For a blood to clot many clotting factors, need to work together so that the bleeding stops very fast and immediately. These factors manage the clotting process by carrying out the process step-by step. In case, the clotting factor is missing, the coagulation or clotting of blood will not work properly. The factors are identified by their numbers and are counted using Roman numerals -I to XIII. Usually, hemophilia is identified very early in the childhood when even a minor injury takes longer time to stop bleeding than normal. However, in some people the disorder is identified in late childhood or early adulthood. Depending upon the presence or absence of clotting factor in your blood you can suffer from mild, severe or even moderate hemophilia. Sadly, most of the patients suffering from hemophilia A suffer from a severe type of hemophilia. The activity of factor VIII is even less than one percent of people having severe hemophilia A. On the other hand, people without any hemophilia disorder have 100 percent active VIII factor. Surprisingly, hemophilia is found more in males and rarely in females. In India alone, one in every 5000 males has hemophilia. Hemophilia is neither contagious nor can you be infected by it like viral or bacterial infection. A patient with hemophilia is born with this blood disorder. X chromosome constitutes the gene that carries the instruction to prepare properly factor VIII and IX. When this gene present within the X chromosome is incapable of carrying the instructions or is defective, hemophilia is caused. Since the DNA of male carries only one X chromosome, this disorder mostly affects males. Since women contain two X chromosomes, even if gene in one X chromosome is defective, the gene in the other X chromosome provides the factors required for clotting. Even then, in case of females, hemophilia can occur due to Lyonization or X-inactivation. Hemophilia is caused either by mutation or is inherited. More than 70 percent of hemophilia patients have a family history of this type of blood disorder. Usually, the gene causing hemophilia is passed on to the child through the mother. In the case, since the mother is carrying the defective gene she is termed as carrier. A mother carrier has 50 percent chances of giving birth to a son with hemophilia. Similarly, a mother carrier also has 50 percent chances of giving birth to a daughter who also develops as a carrier of hemophilia. Statistics suggest that a mother carrier approximately has 25 percent chances of giving birth to a baby with hemophilia. 30 % cases of hemophilia are developed due to the gene mutation that occurs spontaneously. In this case, the mother does not serve as a carrier and the child is the first in his family to acquire such a disorder or to carry a defective gene. Although, it is not very common to acquire a blood disorder like hemophilia in rare cases, this may happen and the disorder may develop during some period in your lifetime. This mostly happens when the body starts producing antibodies or proteins that attack the factors responsible for clotting. This inhibits the clotting factors from coagulation and stopping bleeding. Deep Bleeding Internally: This bleeding usually occurs within the deep muscles and lead to swelling on the limbs. The swelling puts pressure on the nerves and causes pain and numbness. Damage to the Joints: Internal bleeding pressurizes the joints leading to severe pain. If this condition is left untreated, the consequences can be quite severe and cause destruction of the joint or arthritis. Infections through Blood Products: People suffering from hemophilia need blood transfusions due to which the risk of receiving blood products that are contaminated increases manifold. Although due to growing awareness in the past decade towards the screening of donated blood, the chances of contamination in the blood products have lowered, the possibility of acquiring infection through infected blood still exist. Good news is that most of the reputed hospitals now opt for genetically engineered clotting products for transfusions due to which the risk has reduced considerably. Negative Reaction: The immune system in some patients of hemophilia reacts negatively to the clotting factors when treatment is prescribed for stopping the bleeding. In such cases, the immune system produced certain type of proteins that act as inhibitors and inactivate the factors responsible for clotting. This reduces the effectiveness of the treatment. It is difficult to come to a proper decision when it comes to the exact timing for testing the carrier status or factor levels. Some experts advise, test for girl child during childhood, before the girls attain puberty while some health experts are of the opinion that the decision should be left to the woman herself until adulthood. However, certain conditions can instigate early testing for the carrier status or the factor level. If the child develops unusual or large bruises when he starts crawling or walking. Babies suffering from severe hemophilia start showing serious bleeding symptoms in the first year itself. Hence, their disorder is diagnosed very early. However, in children with mild hemophilia factors, the diagnosis can be made later when the symptoms are really obvious and troublesome. 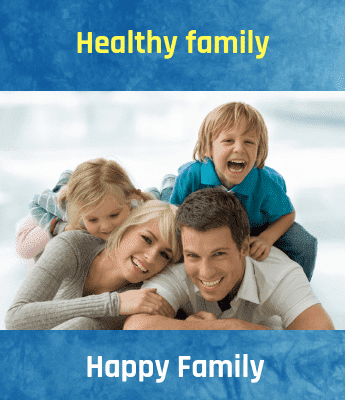 Family history related to hemophilia include history of bleeding due to injury or surgery leading to deaths among any of the close family members such as sisters, brothers, male relatives such as grandfathers, maternal uncles or cousins. In case any such incidence has occurred in the family before, the doctor will ask the parents to carry hemophilia test immediately after the baby boy is born. Sometimes, the doctors may also plan hemophilia testing even before the delivery. In such cases, immediately after the birth of the baby, the doctors draw blood from the umbilical cord to determine the levels of factor-VIII and IX. This test at the time of the birth finds the low factor levels of VIII in a much better way than IX factor levels as at the factor levels of IX do not develop until the baby is of at least six months. Hence even if the tests of the baby show low IX factor levels it does indicate that the baby is suffering from hemophilia B. The disorder can be confirmed after conducting a repeat test when the baby grows older. When a mother gives birth to a baby with hemophilia disorder but do not have any past medical history of this disorder running in her family then it becomes important to know whether she is the carrier of hemophilia or not. Chances are that she may be having low factor levels of either IX or VIII and this information can turn out to be highly critical in case she has to face severe trauma or surgery. That is when the doctors advise a mother to carry out the test for diagnosing hemophilia. This information is also very significant in the wake of situation if she is planning subsequent pregnancy in the future. Symptomatic carriers are those females who have mild hemophilia but experience bleeding symptoms and other conditions such as easy bruising, heavy menstrual periods and nosebleeds. Such women should test for hemophilia and must take appropriate treatment before conceiving. To diagnose the presence of hemophilic blood disorder in a patient, doctors may prescribe clotting factor tests and screening tests. Clotting factor tests is especially carried out to find out the exact type of hemophilia and its severity. This test is also known as factor assays. Screening test is a type of blood test carried out to find out whether the blood is clotting properly or not. There are different types of screening tests that are recommended for finding out different conditions related to blood disorders. CBC Test (Complete Blood Count): This very common test is carried out to measure the hemoglobin amount in the blood, the number and size of the RBCs and the presence of different platelets and WBCs in the blood. Generally, the CBC test shows normal report in hemophilic patients. However, in case, the person has suffered heavy bleeding or has been bleeding for long time then the RBCs will be low. APTT Test (Activated Partial Thromboplastin Time): Through this test, the time taken for blood to clot is measured. In other words, this test lets you know about the ability of different clotting factors in the blood such as VIII, IX, XII and XI. If either of these clotting factors is low then the blood will take longer than normal to coagulate. In people suffering from hemophilia A or B, this test will indicate longer clotting time. PT Test (Prothrombin Time): This test too is carried out to measure the amount of time taken by the blood to clot. However, through a PT test you can measure the ability of different clotting factors such as I, II, V, VII and X to clot the blood. In case either of the factors shows low percentage then the blood is sure to take time to clot than normal. In case of the hemophilic A and B, patients the results of this test will be normal. Test of the Fibrinogen: This is yet another test advised to find out the clotting ability of blood. This test is mostly recommended along with the other screening tests or especially when the APTT or PT tests show abnormal results. Clotting factor I is known by the name of fibrinogen. These tests are carried out to and to confirm the problem of hemophilia and detect the severity of this bleeding disorder.Â This test is very important because the mode of treatment is always decided depending upon the severity and type of hemophilia. The treatments for hemophilia depend entirely upon the severity of the disorder. To stop bleeding: When the patient is bleeding for long time, this therapy is provided. It is more commonly given to the patients having mild hemophilia. As a preventive treatment: It is also given in the form of medication to prevent the recurring bleeding episodes and to restrict the subsequent complications such as muscle or joint damage usually caused due to prolonged bleeding. This therapy is provided to severe or moderate hemophilic patients. This medication is a type of synthetic hormone that encourages the body's internal system to create factor VIII in more amounts. This medication only works on patient with mild hemophilia A and do not have any effect on patients with severe hemophilia A or hemophilia B. This treatment is recommended by health experts to treat joint bleeds. It is effective in reducing tissue damage, swelling, especially when it is used along with clotting factor concentrates. Plasma-derived clotting factors: This type of factor concentrates is prepared from the plasma present in the donated blood. Culture medium with animal products and human albumin as stabilizer is used in the recombinant products of the first generation. Culture medium with animal-derived materials and sucrose or other type of non-human stabilizing material instead of human albumin is used in the recombinant products of second generation. In the third generation recombinant clotting factors, the monoclonal antibodies of a mouse are used and the purification is carried out by employing a synthetic ligand. This has further resulted in the formation of clotting factors VIII that do not carry any animal or exogenous human protein, which is of great use for treating hemophilia B. It is the first of all the recombinant clotting factors that has received license in 1997. This treatment is prescribed so that the prolonged and rapid bleeding process can be stopped effectively and immediately. Doctors or nurses initially inject this medication in the vein-mostly at the elbow crook or back of the hand. After a few sessions, adults can learn to administer the drugs themselves without having to go to the clinic or hospital. In case the patient is a child, the parents or the babysitters can lean to administer the injection. In case a patient cannot find a suitable vein for administering the injection or if more intensive treatment is needed, external catheter-Hickman line or Broviac or a port-a-cath is placed into the vein surgically so that the clotting factor concentrates can be given regularly and it is easier to draw blood for routine emergency tests. However, it is advisable that such an administration should d be carried out with the help of a reputed caregiver as the catheters can cause complications such as blood blockage and infection. Factor concentrates remain stable for long periods at the room temperature. However, it is advisable that you store them in a refrigerator. But care should be taken not to freeze them as it can damage the syringes or the vials. When you are traveling, the factor concentrates should be kept carefully inside a cool bag. Each product carries instructions for storage that you must follow. If you are trying out something new, you should take proper instructions from a registered pharmacist or your caregiver regarding its storage and usage. Episodes of bleeding are regular and simply inevitable for patients suffering from both the types of hemophilia. Even patients with mild hemophilia have to suffer these problems occasionally. Since the bleeding is prolonged rather than rapid, there is no medical emergency but if left untreated the repercussions are far-reaching and damaging. Although small cuts, grazes, and bleeds in the muscles and joints can be treated at home and do not require any surgical intervention, it is important for a hemophilic patient to consult the doctor as certain wounds can create long term problems. Note: Patients of hemophilia should always treat their every wound and injury seriously as early treatment can save them from further health complications. Hemophilia A patients have to face the problem from inhibitors during their treatment. What are inhibitors? In case of around 30 percent hemophilia A patients their body develop antibodies against the transfused VIII factor usually after the first two or three treatments. These inhibitors prevent the treatment of factor VIII from working properly. Many times these inhibitors disappear after a particular time; however, in around 10 percent people suffering from severe hemophilia A they remain persistently for long time. Good news is that in the past few years the medical fraternity has been successful in evolving a special immune tolerance induction therapy that prevents these inhibitors from becoming persistent. Even alternative treatments are also available to prevent these inhibitors from becoming persistent in case they do not respond to the induction therapy. Note: Inhibitors very rarely develop in hemophilia B or in case of mild hemophilia A. Is there a Permanent Cure for Hemophilia? At present, there is no permanent cure for hemophilia. The patients of hemophilia have to keep on taking treatment lifelong. Although scientists are trying hard to come up with a permanent cure, they are yet to make the breakthrough. According to them, the solution can be obtained through gene therapy. How would it work? The blood clotting directions are released chemically by a certain gene present in each of the cell in the body. In case of hemophilic patients, these directions are scrambled and it is not possible for the body to read the message of clotting correctly. This leads to less production of required number of clotting factors. This implicates that the doctor will have to take out the genes that carry the correct directions for preparing the factors and then insert these genes into patients with hemophilia. The new gene will provide the body with correct directions and enable the body to come up with factors of high levels so that the hemophilic person will be able to develop successful clotting of blood. Note: Recently the North Carolina University scientists managed to keep the hemophilic condition away from a dog for a month. This is being considered as a major breakthrough and the days are not far when the scientists will come up with similar solution for human beings that are more permanent. Currently the Indian health care system has come of age and is at the brink of entering the mainstream healthcare process. Even though several active centers for treating and diagnosing hemophilia has been developed, they are still less in number when it comes to the number of hemophilic patients in India. In India, the hemophilia prevalence rate is stipulated to be in the ratio 1:100, 00. At present, only 14,000 patients have been registered with the Hemophilia Federation of India. Over the years, support groups have contributed hugely in creating awareness about this disorder and in organizing facilities for treatment. Some state governments have even taken significant steps such as providing finance to the anti-hemophilic factors and making available the treatments and the medications free of cost. This has certainly helped improve the quality of life of the hemophilia patients. Although treatment and diagnosis process has improved in India, certain challenges do exist that confine the Indian clinicians from offering better treatment to the hemophilia patients. Managing hemophilia is a major concern as development of inhibitors always restricts the effectiveness of hemophilia treatment. For offering better treatment, the health care representatives need to collect detailed data about the patients, assess presence of inhibitors, confirm the diagnosis and exact their geographical location. Such a collective data is required to plan and structure the health care services related to hemophilia in better and make the overall process more efficient. This also ensures that the funds distributed by the governments are reached to the patients in need. With more than 100,000 PWH patients in India, the treatment mode is still very basic and lacks the proper infrastructure such as coagulation laboratories, screening facilities and more. Due to lack of proper awareness even among the medical fraternity many times a child or an adult is operated without carrying any blood coagulation test and this can lead to long term bleeding and complications and ultimately may prove fatal. Moreover, the treatment of hemophilia is expensive and very few people can afford replacement therapy and has to rely only on RICE or FFP treatments. Health insurance companies in India do not cover this disorder under insurance, as it is high cost, low volume disease. Note; Unavailability of proper treatment can lead to lifelong disability and shortening of lifespan of a hemophilia patient. Despite this gloomy scenario, there are certain positive facts that have developed over the years and support better treatment for the hemophilia patients. Here are some of the hemophilia societies and organizations that are working hard to make available proper treatment and facilities to the patients suffering from hemophilia. The families suffering from hemophilia and other groups in the medical line in 1982 established HFI or Hemophilia Federation of India. At present, the organization has 76 chapters running all over the country. HFI has been providing factor concentrates free or at subsidized rates and also has been offering education, genetic counseling, physiotherapy, prenatal testing, psychosocial and disease awareness support. The organization also arrange for surgeries at very low cost. With more states offering to provide factor concentrates freely, the HFI now aims at functioning as the public awareness provider, psychosocial support group, research-oriented support and a resource database for registering patients of hemophilia. The organization treats around 35 patients of hemophilia daily. SHC India is a dedicated national initiative aimed at offering treatments and support to the patients suffering from hemophilia and other genetically influenced bleeding disorders. It has been offering services in association or partnership with different government bodies, organizations, industries or individuals and providing qualitative, affordable, ethical and safe treatment to the patients suffering from bleeding disorders. SHC also offers help and support in educating and rehabilitating the patients economically. Different societies of respective states such as Karnataka Hemophilia Society, Madras Chapter of Hemophilia Society, Pune Hemophilia Society are offering all around free help to the hemophilia patients. Thus, although the way is still long, the help is coming from all the quarters and in the coming years India will be able to provide proper treatment and facilities to hemophilia patients. What are the Different Types of Blood Groups?